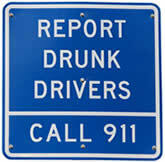 Every 48 minutes in the United States, someone dies in an accident caused by a driver under the influence of alcohol. Alcohol-related crashes cost $51 billion annually and account for one-third of all vehicular fatalities in the U.S. According to the Center for Disease Control, about 1.5 million drivers are arrested for operating a motor vehicle under the influence of alcohol or narcotics, which is less than one percent of the over 150 million self-reported incidents of impaired driving every year. Clearly, driving under the influence of alcohol and other drugs is a serious problem on American roadways, but the problems don't stop at the safety risks. Legally and financially, drunk driving also has devastating consequences. Drivers found to be over the legal blood alcohol limit are typically hit with steep fines, license suspensions, and/or jail time depending on state law. Substance-related incidents include more than DUI violations, however - they can also involve a failure to submit to a breathalyzer test or an open container offense. If found convicted of any of the aforementioned offenses, you can safely assume you will also be classified as a high-risk driver, which will have a negative impact on your car insurance rates and insurability in general. In what follows, we've summarized the three most common alcohol and substance-related driving offenses and briefly explained their typical legal, financial, and insurance ramifications. As you read, remember that none of the following information is intended as legal advice. The information is offered for educational purposes only and is subject to change according to state law. If you need definitive answers regarding a DUI/DWI/OWI violation or the relevant laws, consult a licensed attorney. The violation of driving under the influence (DUI) of alcohol and other drugs - also known as driving while intoxicated, operating while intoxicated, and operating under the influence - occurs when a driver is found to have a blood alcohol level of higher than 0.08 percent. The 0.08 figure is a national standard, so only the penalties vary from state to state. For instance, in the District of Columbia, the penalty for a first-time violation is typically $300, a 90-day license suspension, and up to 90 days in jail. The driver will also have to file an SR-22 with the department of motor vehicles that proves he/she carries the requisite amount of liability insurance. By contrast, in Minnesota, a first-time DUI will usually result in a $1,000 fine, a 90-day license suspension, and up to 90 days in jail, but no SR-22 is required. Each state has an individual BAC limit for drivers who are under the age of 21 and driving under the influence. Some states, like Arizona, have a zero-tolerance policy for drivers under the legal drinking age, while others, like New Hampshire, allow under-21 drivers to have a BAC of up to 0.02. States also have varying limits in defining "extreme" driving under the influence, with the levels ranging from 0.15-0.20 according to the state. Typically, when a driver is stopped and suspected of driving under the influence, he/she must submit to a test or series of tests to verify his/her BAC. Refusing to submit to these tests may result in stiff penalties even if the driver is not actually driving while intoxicated. In fact, in some cases, the consequences of refusing a test may be more severe than taking and failing a breathalyzer or chemical test. In many states, the law considers the act of operating a motor vehicle on public roadways an act of implied consent to a breathalyzer or other blood-alcohol test, which is why the state is within its authority by penalizing drivers who refuse to test. Typically, a driver who refuses a breathalyzer test at the point of the stop will then be taken into custody and then chemically tested at the station. A failure to submit to a chemical test is often futile, as law enforcement officers can quickly obtain a warrant for the driver's blood or urine in most jurisdictions. In all but a handful of states, having an open container of alcohol in an area of a vehicle that is readily accessible to the driver is against the law. Open container laws also typical prohibit the possession of open containers of alcohol in certain areas, such as parks or public streets. Laws vary drastically by state and also the municipal level in many cases. For example, in Mississippi, drivers are permitted to consume alcohol while driving so long as they remain below the legal limit. 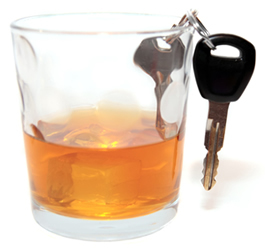 Other states, including Arkansas and Delaware, prohibit the driver from consuming alcohol but allow passengers to consume alcohol while the vehicle is in motion. In some states that have no statewide open container law, certain cities may allow the consumption of alcohol in public places. For instance, New Orleans permits the possession and consumption of alcohol on the streets as long as the alcohol is in a plastic container.